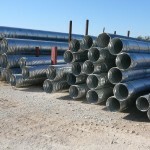 We offer corrugated metal culverts in 12″, 15″, 18″, and 24″ sizes in lengths of 16′, 20′, and 24′. We can also order any custom size you need. 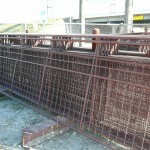 We offer pre-fabricated pasture gates in 8′, 10′, 12′, 14′, and 16′ lengths. J-bolt hinges are also available. Copyright © Pioneer Steel & Pipe. All Rights Reserved.